McDonalds are currently running a contest called My Burger in which members of the public have put forward their ideas for dream burgers, and now McDonalds are trailing a few of the varieties. I have to admit to not being a regular in McDonalds so I shan’t be reviewing them all, but I did manage to try out the McPizza Pepperoni Burger, currently on offer. 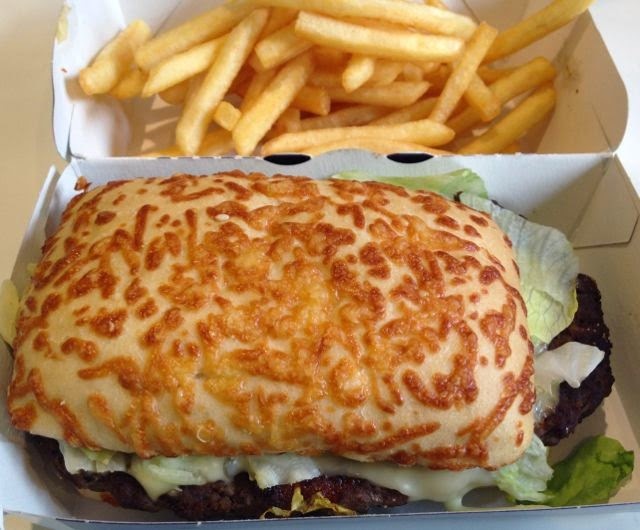 The burger is beef and it has a cheese topped bun, a specialty ketchup, salad, mozzarella slices and pepperoni layered in the bun. As a fan of pizza I liked how they mimicked a pizza flavour and thought the pepperoni layer sounded like a really fun edition. Cheese and tomato aren’t anything new on a burger but pepperoni added a nice new twist. I liked the shape of the burger, it is slightly elongated and looks quite posh. 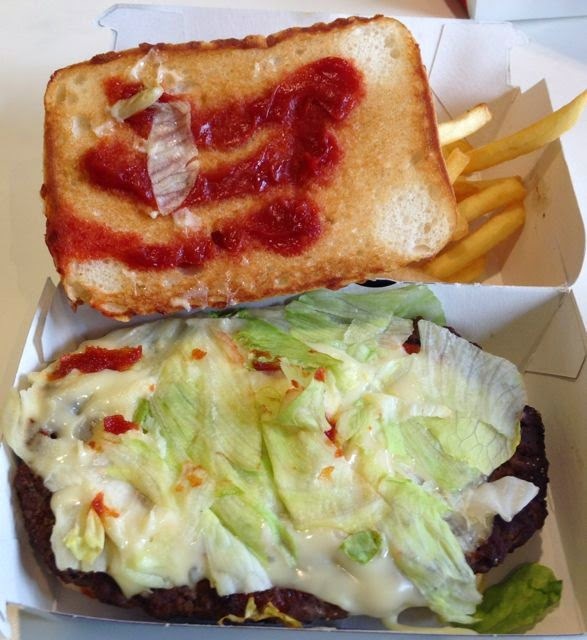 The extra ingredients are all quite generous with plenty of cheese and posh ketchup. The mozzarella was melting pleasingly and added a nice soft gooey texture. The flavour was nice, it is mostly beef but the pepperoni and speciality ketchup add a nice hint of spice, I could pick up on paprika, and the extra meatiness. It was a very enjoyable burger, although the pizza flavours are subtle they do the trick nicely. A good hint of pepperoni pizza flavour without ruining the beef rush you get from a McDonalds meal. 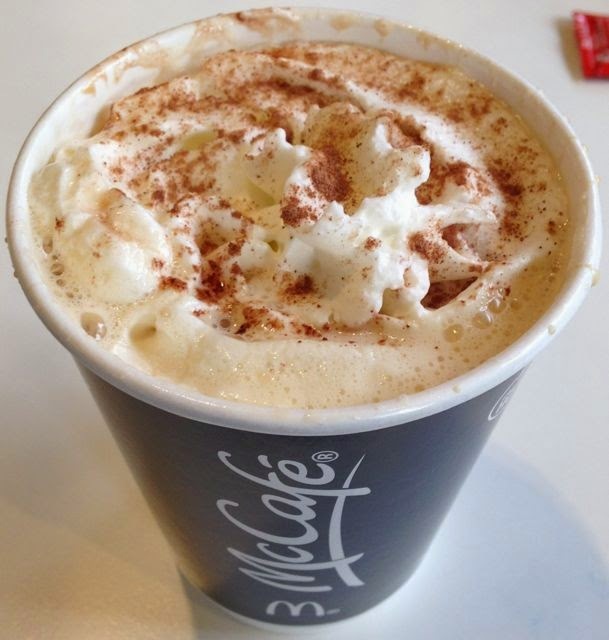 Obviously while I was in McDonalds there was only one possible choice of drink for me, which was the Christmas Limited Edition Toffee Latte. The board behind the counter showed them served in super cute Christmas cups, but mine arrived in a plain cup sadly. The flavour was rather indulgent, and I liked the cream on top of my latte too, it made it feel special. The toffee syrup added a nice soft sweetness and gave the drink a dessert like feel, and turned it into a bit of a treat. I have to say I very much enjoyed our trip to McDonalds, and although we don’t go regularly I’ll certainly look forward to our next visit. 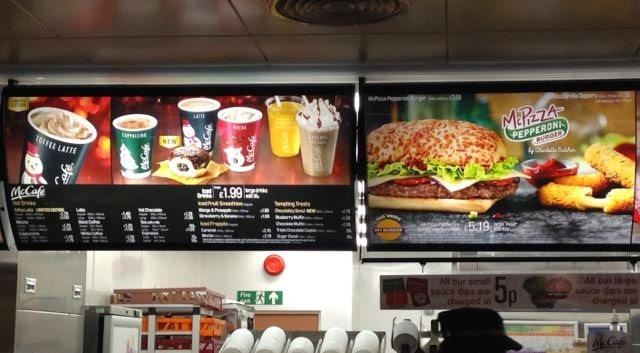 I’d also like to see the McPizza Pepperoni Burger again and hope it does well in the competition.